Please call your county’s victim advocate office for help or law enforcement office for more help. 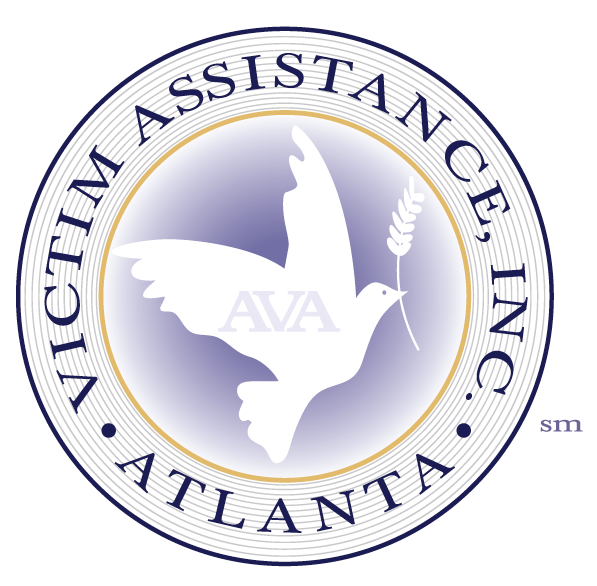 If the perpetrator/suspect/defendant resides within Fulton County Atlanta Victim Assistance can help you, file for a protective order. If you would like help please call at 404.588.4740, email us or you can schedule an appointment through our online appointment system. The protection order process is similar throughout Georgia, but the process may vary depending on your county. What is a Temporary Protection Order? A Temporary Protection Order is a written statement from a court that tells the abuser to stop the abuse or face serious legal consequences. It offers civil legal protection from domestic violence to both women and men victims. A Temporary Protection Order can be issued after a court hearing in which you and the abuser both have a chance to tell your sides of the story. Temporary Protection Orders last up to one year, but can be extended for up to three years, or permanently. Am I eligible to get a Temporary Protection Order? Any person who lives in your household as if they were part of the family (for instance: your live-in boyfriend, the boyfriend or girlfriend of another family member, your roommate). The law protects you against these people even if they are no longer living with you. Note: If you are under 18 years old, you have to find someone who is 18 or older to file for you. Also, you can file for an order against someone who is a minor. If someone other than a family or household member is hurting you, there are different laws designed to protect you. You may be eligible for a protective order under the Stalking Law. See: What can I do if I’m not eligible for a Temporary Protection Order? How can a Temporary Protection Order help me? There is no cost for filing for a Temporary Protection Order. No, you do not need a lawyer to file for a Temporary Protection Order, but it may be better to have one. If your abuser has a lawyer, you should try to get one too. Even if your abuser does not have a lawyer, it is recommended that you contact a lawyer to make sure that your legal rights are protected. In addition, the domestic violence organizations in your area and/or court staff may be able to answer some of your questions or help you fill out the necessary court forms. Court staff cannot give legal advice. You will find information on legal assistance and domestic violence organizations on the GA Links & Resources page. You will find contact information for courthouses on the GA Courthouse Locations & Info page. What will I have to prove at the Temporary Protection Order Hearing? Prove that the respondent (your abuser) has committed acts of violence (as defined by the law). Convince a judge that you need protection and the specific things you asked for in your petition. Contact witnesses who saw the abuse or your injuries. Anyone can be a witness – a friend, family member, children, emergency room nurse, doctor, stranger, law enforcement officer, etc. Some witnesses may not come to court unless they are given a subpoena. A subpoena is a document that orders someone to come and testify. Ask the Court clerk how to subpoena a witness. Get evidence to help you prove your case. Evidence can include medical reports, pictures, torn or broken objects, 911 tapes, certified copies of the defendant’s criminal record, or anything else to help you convince the judge you have suffered acts of domestic violence and need certain relief and protection. Even if you have no physical evidence or witnesses, the judge will listen to your story. Practice telling your story. You may want to make an outline or notes of the history of violence by your abuser. You may take notes to court with you to look at if you forget something, but if you read from them, the judge may order that your abuser be allowed to see them. Tell your story in your own words, but leave out details that have nothing to do with the violence or threats of violence. Also, rather than saying, “he or she hit me,” tell the judge how you were hit, where on your body you were hit, and how many times. Be specific. What should I do on the day of the hearing? If you have subpoenaed witnesses and they are not come, you should let the judge know. If your abuser comes to court with a lawyer and you don’t have one, ask the judge for a “continuance” so you can look for a lawyer. Once your case is called, enter the courtroom and find a seat. It is your right to take another seat if the abuser sits next to you, and to receive help from court staff in keeping the abuser away from you. If you don’t understand a question, just say so. What is the order of events in the courtroom? 1. At the hearing, everyone who will testify will swear or affirm to tell the truth. 2. Since you are the petitioner, you will tell your side of the story first. 3. The judge and your abuser may ask you questions. If you are scared to answer any of them, tell the judge. 4. When you are done, your witnesses may speak. You may ask them questions, and then the judge and your abuser will have a turn to ask them questions. 5. The respondent will tell his or her side. It may be very different from yours. The judge will ask questions, and you may also. 6. The judge will make a decision after hearing both sides and considering the evidence. 8. If the respondent is present, he will sign and take home a copy of the Family Violence Protection Order. 9. You will be given a copy of the Temporary Protection Order. Review it carefully before you leave the courthouse. If you have ANY questions about it, be sure to ask the judge. One week after court, call your local law enforcement offices to make sure they have received copies of the Temporary Protection Order from the clerk. It is important to recognize the limitations of a Temporary Protection Order. You must be vigilant in enforcing the order’s provisions by reporting every violation to the police or the court. Ongoing safety planning is important after receiving the order. Women can do a number of things to increase their safety during violent incidents, when preparing to leave an abusive relationship, and when they are at home, work, and school. Many batterers obey protective orders, but some do not and it is important to build on the things you have already been doing to keep yourself safe. Click on the following link for suggestions on Safety Planning. (You can access the safety planning information any time from the WomensLaw.org Home page.) Advocates at local resource centers can assist you in designing a safety plan and can provide other forms of support. First call the Sheriff’s Office or police and report that you have a Temporary Protection Order, and that the abuser is still bothering you. Tell the police what happened. If the police refuse to arrest him, take the officer’s name and ask to speak to his superior. Violation of a Temporary Protection Order can be a felony offense under the stalking law. How do I change or extend my protection order? Temporary Protection Orders can also be made permanent. You should see your shelter, victim advocate or a lawyer if you need further help. If your abuser violates the order by not paying support for yourself or your minor children, do not call the police. You can file an action for contempt or garnishment with the court. An action for contempt is a legal procedure to get the court to make him obey the order. An action for garnishment asks the court to take money for support directly out of his/her paycheck.